Are you planning on redoing your kitchen? Call R.V. Carey’s! Our plumbers have the expertise to guide you through the design process and help build the kitchen of your dreams. Whether you’re interested in purely cosmetic changes or you want to completely restructure the plumbing systems by adding sinks or a wet bar, moving the refrigerator, dishwasher, or anything else, the experts at R.V. Carey’s can turn your kitchen remodeling vision into a reality. At R.V. Carey’s, we’re committed to designing and remodeling your kitchen with the highest quality materials, installed by trained and certified technicians, and supervised by project managers with years of experience in kitchen remodeling. 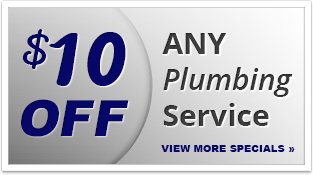 Our plumbers have an average 15 years of experience, and we’ve been providing residential plumbing services throughout the Olney, MD area for years. Build the kitchen you’ve always wanted—call the Olney kitchen remodelers at R.V. Carey’s at 301-424-8899 or click here! Your kitchen is the heart of your home, and outdated appliances and layouts can make it difficult to enjoy your space, whether for cooking, spending time with family, or entertaining guests. If your kitchen lacks a “work triangle,” is full of appliances that don’t do everything you need, or just feels old and out of place, call the Olney kitchen remodelers at R.V. Carey’s today! As your needs evolve, so too should your kitchen. Do you need more space to host guests? Less space now that the kids have gone? New appliances to foster a newfound love of cooking? Whatever your needs are, bring them to the kitchen remodelers at R.V. Carey’s so we can figure out a way to incorporate them into your kitchen to suit your changing lifestyle.